One of the few downsides to being a bass player is that I never get a chance to play with Hammond organ players. I love the sound of the classic organ trio, but these days people like Barbara Dennerlein are updating the format. This is the title track from her 2000 release on Verve. In addition to a horn section, the album features Don Alias, Steve Nelson and the versatile James Genus on bass, sometimes holding it down by himself, sometimes doubling Barbara’s bassline. 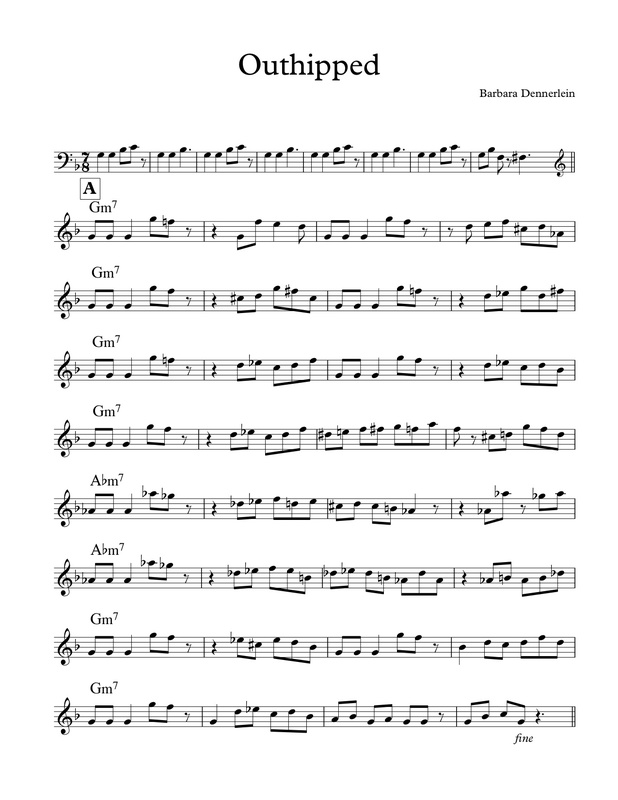 On both the melody and interlude, Darren Barrett’s muted trumpet doubles the line up a major third. 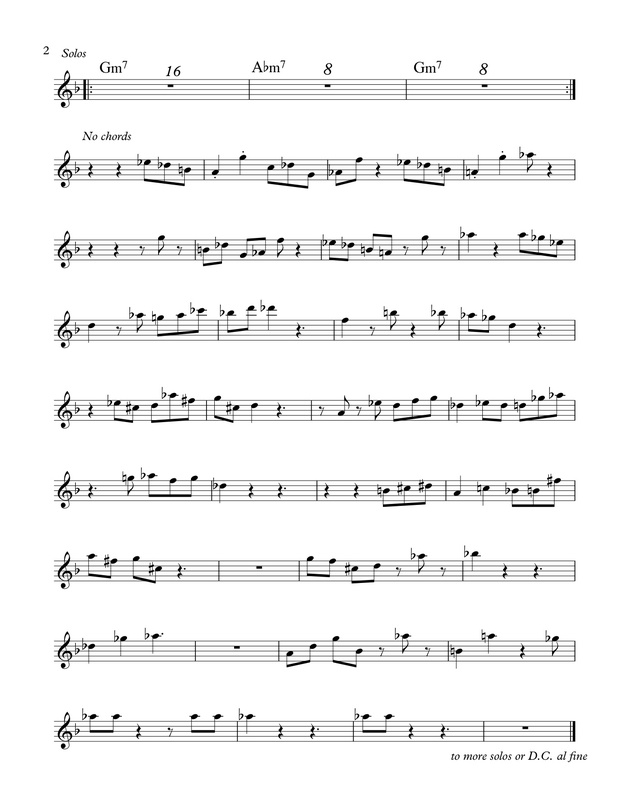 This entry was posted in Uncategorized and tagged barbara dennerlein, jazz, lead sheet, music, Noteheads, outhipped, transcription on March 30, 2013 by noteheads.